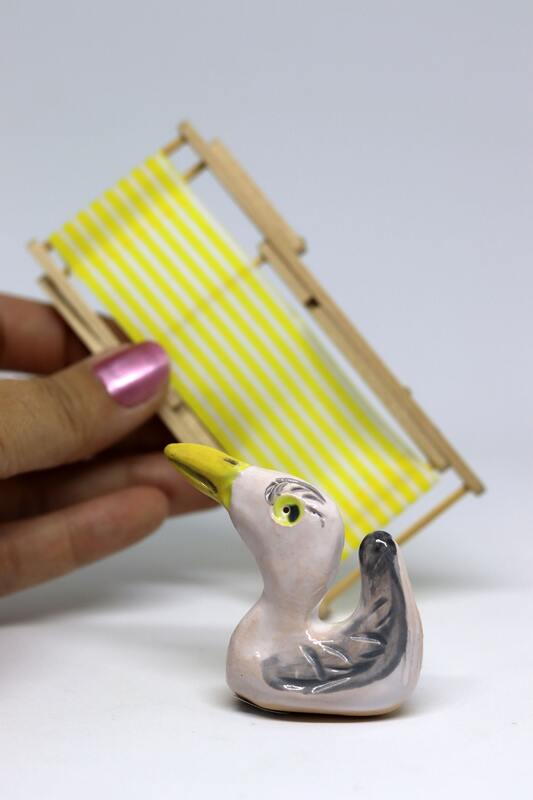 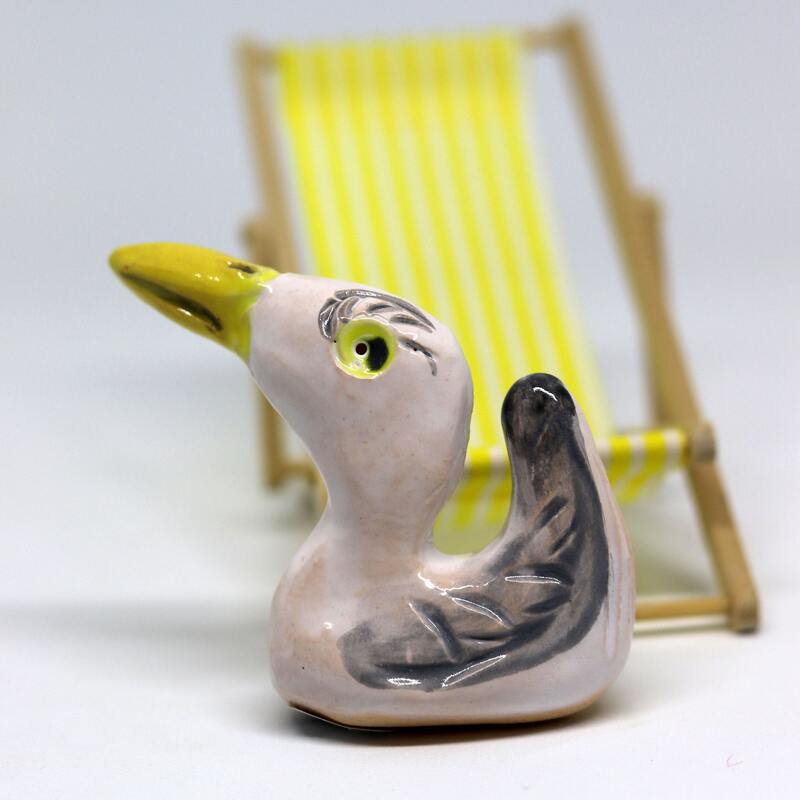 Pottery Seagull on her deckchair, Ornament, Figurine, bird, Gull, Miniature, mini pet friend, Easter, Valentines Day, Anniversary, Birthday. 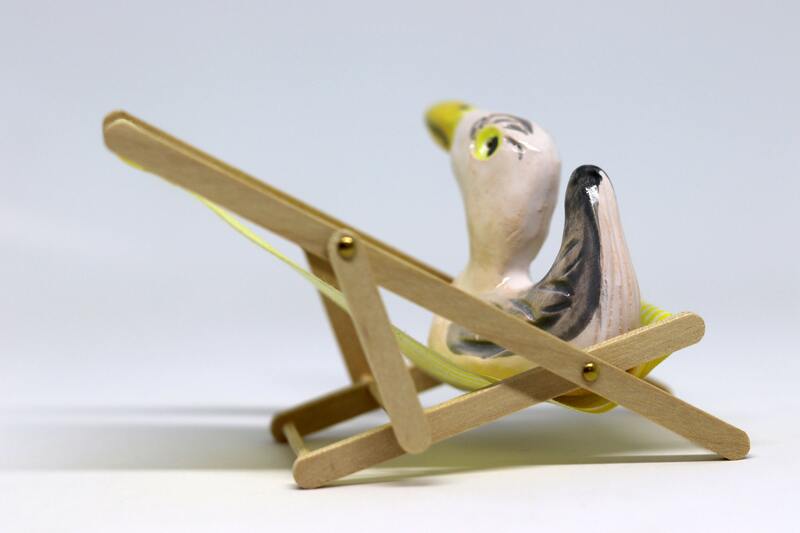 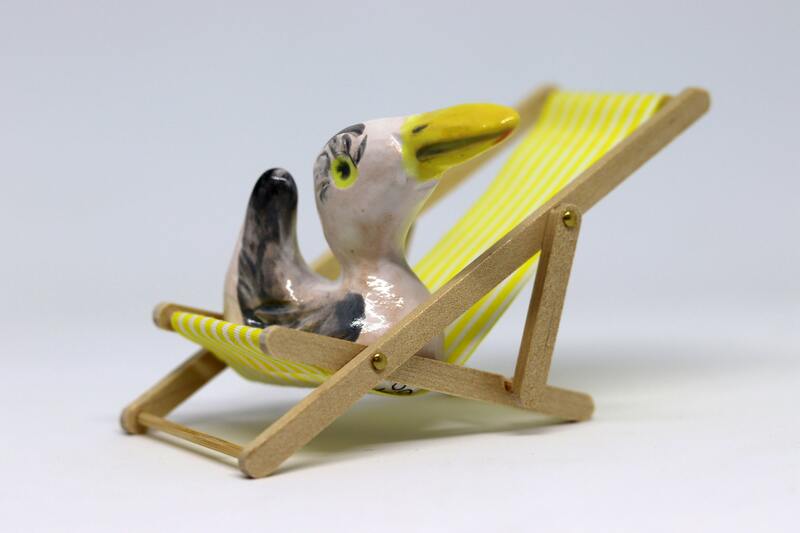 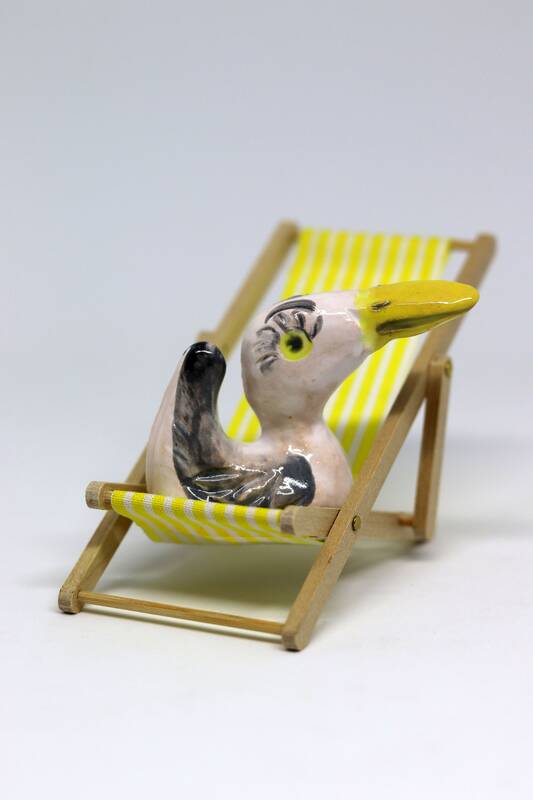 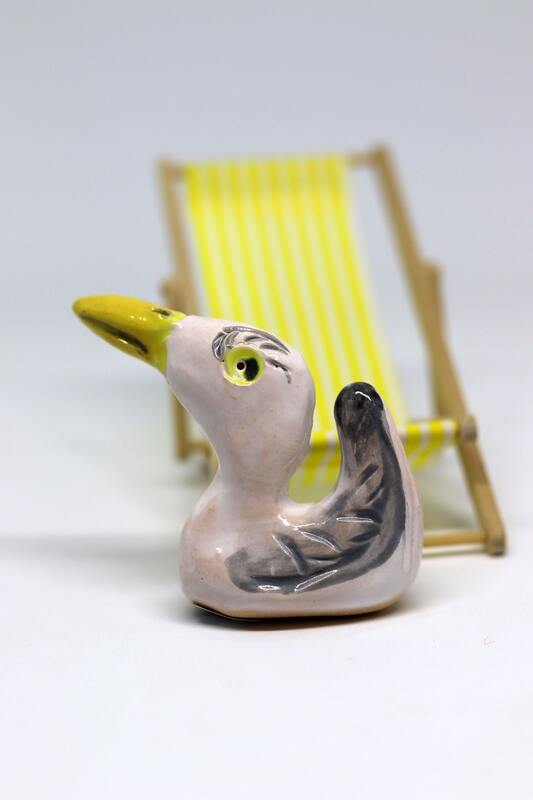 This listing is for a lovely ceramic seagull sitting on her deckchair. 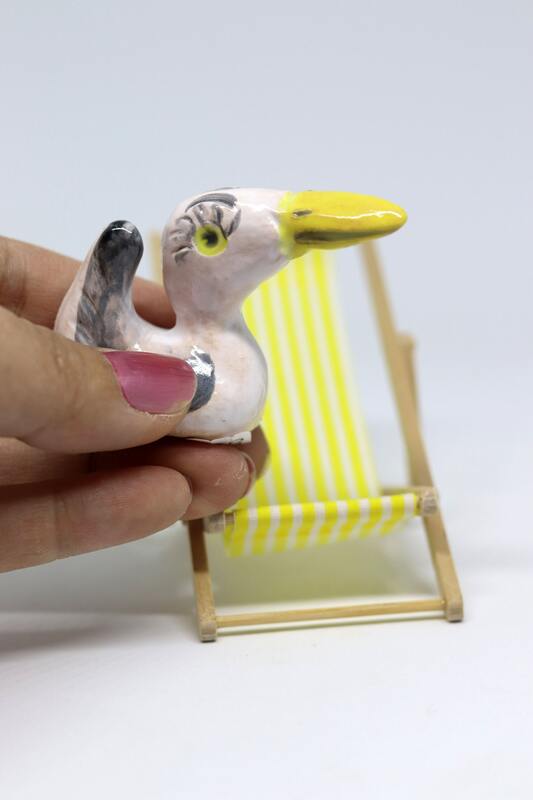 Her measurements are 5.5 cm high x 2.5 cm wide x 6.5 cm deep and with her deckchair she is 7.5 cm high x 9 cm deep x 5 cm wide. 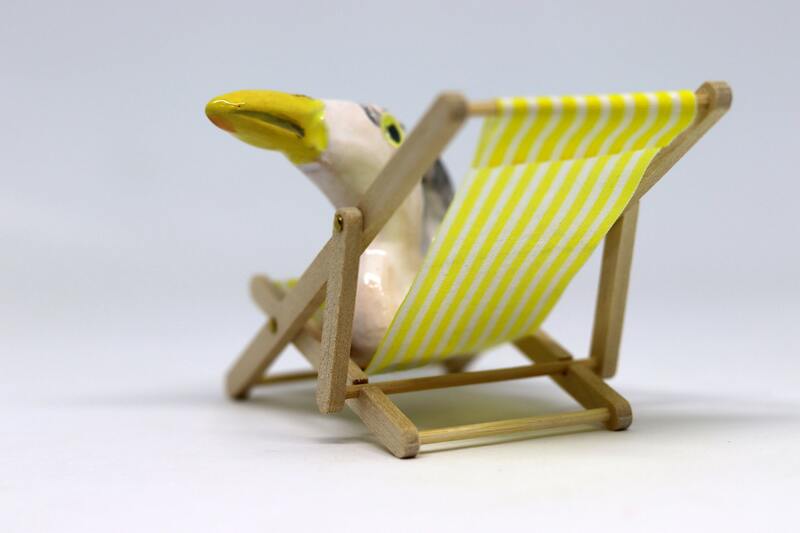 Postage within the UK is free. 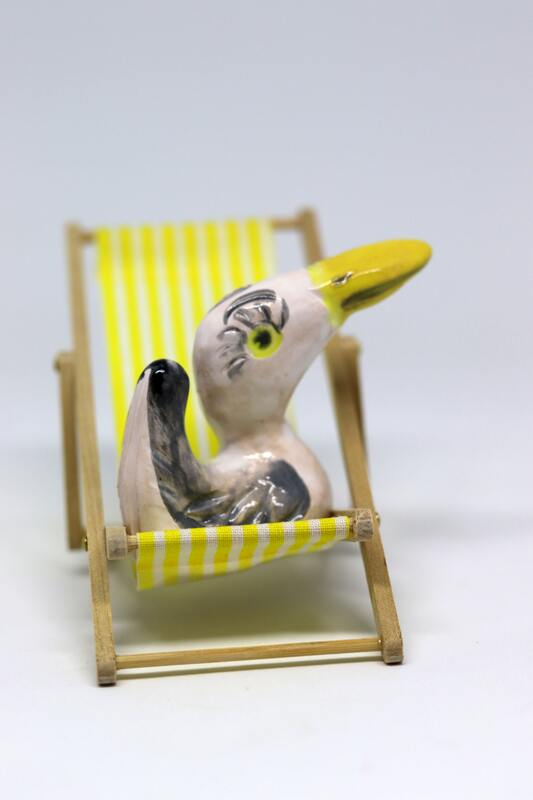 Additionally you can request your own handmade ceramics. 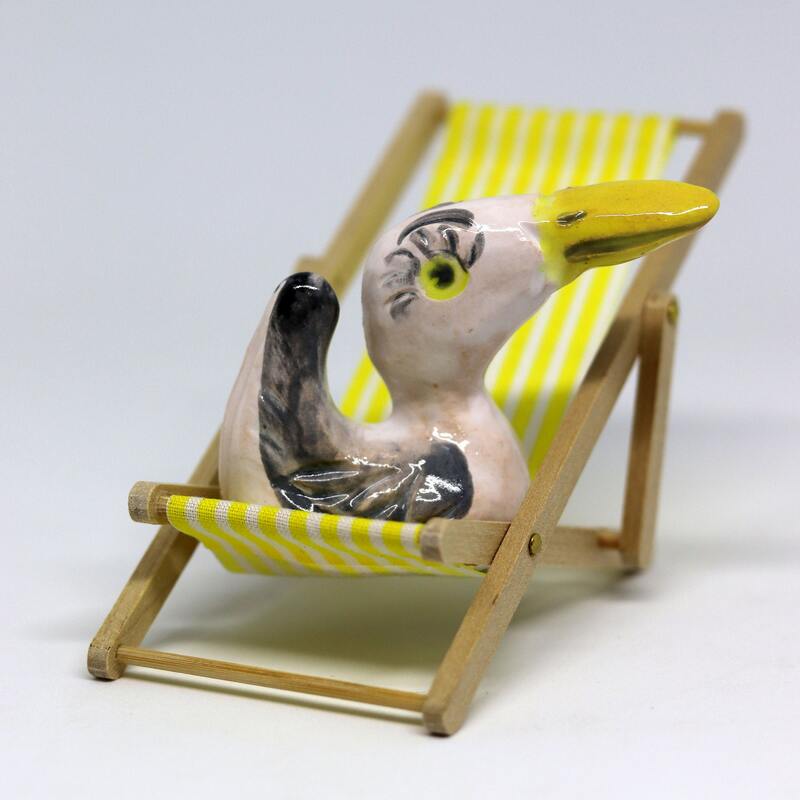 There needs to be a month making time as I have a large kiln and it takes at least 2 firings to make these handmade gifts.